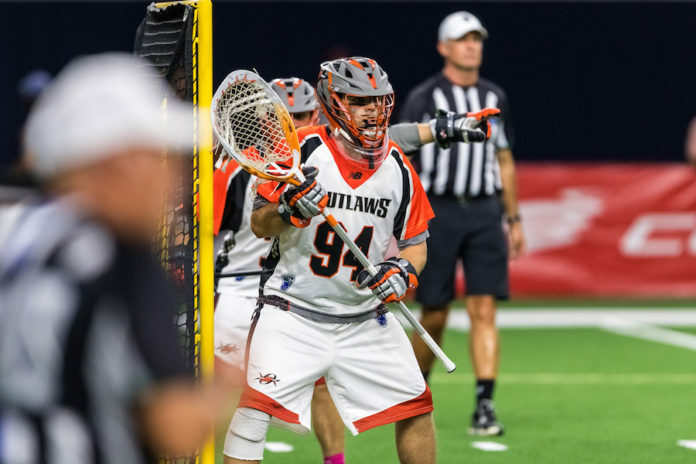 It’s hard to believe, but Denver Outlaws goalie Jack Kelly was once the backup goalie for his high school lacrosse team. Because of that, Kelly decided to further his education — and lacrosse career — at Brown University, where he would experience a magical run in his junior season as the Brown Bears would advance to the NCAA Semifinals before ultimately losing 15-14 against Quinnipac in overtime. Kelly would earn first-team All American honors after leading the nation with a 60.6 save percentage, and ultimately finished his time at Brown with 673 saves — a school record. 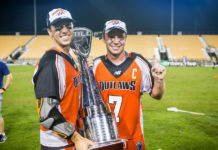 Kelly was drafted by the Denver Outlaws in the seventh round (57th overall) of the 2016 MLL Collegiate Draft, and although his rookie season would start off rocky, he would turn things around to play a key role in the Outlaws’ 2016 MLL Championship run — claiming the MLL Rookie of the Year award, and winning the MLL championship in comeback fashion over the Ohio Machine. 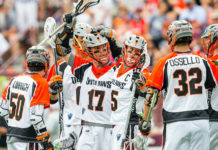 With two professional lacrosse teams in town, a powerhouse college lacrosse team in the Denver Pioneers, and a competitive high school scene, Colorado has rightfully earned a reputation as a new and Western hotbed for lacrosse talent. As young players continue to take top the sport all over the state, Kelly has some sound advice for them.